The commute, which will take just over one hour, is now possible after the reinstatement of 500m of rail track known as the Todmorden Curve. The stops include Moston, Castleton, Rochdale, Littleborough, Todmorden, Burnley and Accrington. On weekdays the first train from Manchester Victoria will set off at 5.50am with the last train will leaving at 10.50pm. On Saturdays the first train will leave at 6.56am and the last train at 11.01pm, and on Sunday they will begin at 8.40am with the final one at 9.50pm. 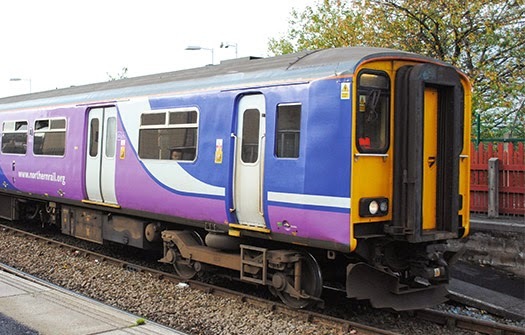 Northern Rail said this will improve journey times to Manchester from East Lancashire and provide a catalyst for jobs, economic growth and the visitor economy. The project will also put places like Burnley and Accrington within commuting distance of Manchester and open up job prospects, as well as tourist and leisure opportunities. The £8.8m scheme has been hit by a series of delays including a lack of rolling stock. The station, which will serve the town centre, is part of an £11.5m project funded by the Welsh government. Delivered by Network Rail, it features a new station building, 150m platform to fit up to six carriages, a car park, a waiting shelter and bicycle storage. The 07:38 BST Cardiff Central to Ebbw Vale Town was the first train to arrive at 08:41 BST. 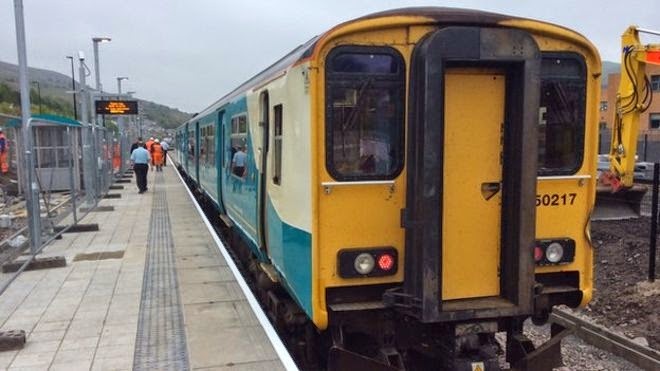 The station is located on the Ebbw Vale to Cardiff line and will be served by the existing hourly service. Transport Minister Edwina Hart said: "The Ebbw Vale railway line is very popular, with some 300,000 journeys annually. "Together with our investment in the track, the new Ebbw Vale Town station will improve access to jobs and services for more people along this busy route."